At the official opening of the new R125-million Mercedes-Benz showroom in Caversham Road, Pinetown, in June, director Hassan Akoo, brand centre leader of the NMI-DSM Group, said they were extremely proud of the new outlet. The hi-tech showroom, owned by NMI-DSM, a joint venture company between Barloworld and NH Partnership, replaces the original Old Main Road branch, a landmark in Pinetown for two decades. Akoo said the rationale for building the new outlet was threefold: to provide a showroom to match the quality of the cars within it; to up their game in offering top-notch service; and give customers a modern, luxury showroom. “The best or nothing,” he quipped. The Akoo family also owns Garden City Motors in Maritzburg, Mercedes-Benz uMhlanga, and NMI-Mercedes-Benz in Old Fort Road, Durban. Florian Seidler, co-CEO Mercedes-Benz South Africa and executive director Mercedes-Benz SA Cars, said that the new showroom was befitting of the iconic three-pointed-star, last year named SA’s Coolest Automotive Brand by the Sunday Times. Mercedes-Benz ranks as one of SA’s biggest taxpayers, offering 29 products, and by the end of 2020, 42 products. 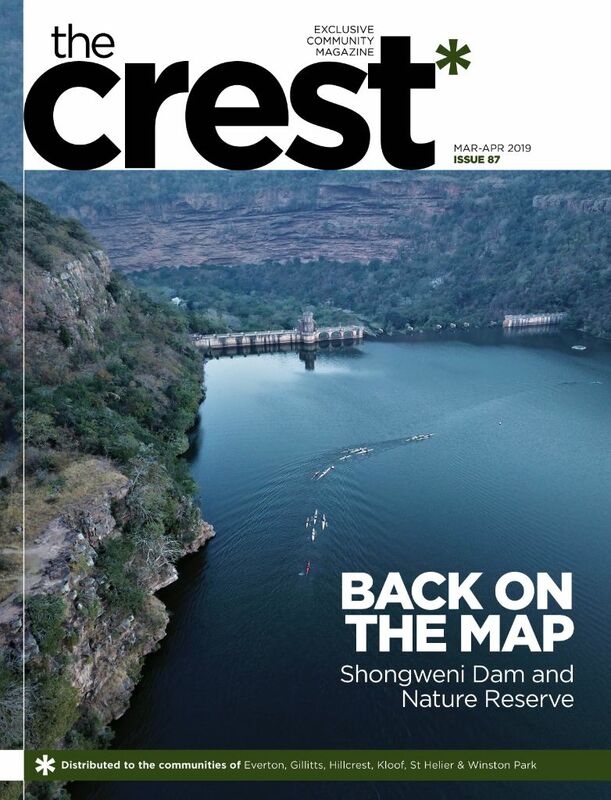 The world’s biggest C-Class plant is in East London, which has built 110 000 units so far and exports to 90 countries. Operating as one of the five Mercedes-Benz Brand Centres countrywide, with new and pre-owned showrooms, and dedicated customer interaction hubs, including digital and online services, the dealership is a beacon of excellence. 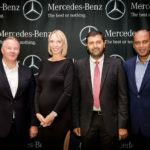 DRIVING PERFORMANCE From left, Florian Seidler (co-CEO Mercedes-Benz South Africa and executive director Mercedes-Benz SA Cars), dealer principal Wilanda Stubbs, director Hassan Akoo and marketing director for Mercedes-Benz South Africa Selvan Govender.